When planning a short stay with us at the Derby, here are a few things we suggest you see and do to make the most of your time to the area. Tolkien fans will want to take The Tolkien Trail (or those who want to enjoy the local scenery), which is a 9km circular walk starting and finishing at Hurst Green. JRR Tolkien was educated at Stonyhurst College on the edge of the Forest of Bowland and it is believed the surrounding scenery inspired his vivid descriptions of the Shire in Lord of the Rings. 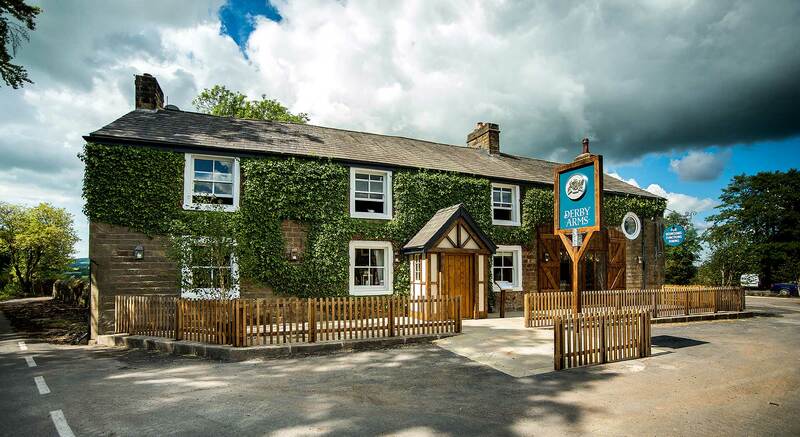 After a morning filled with walking, why not visit our nearby sister pub the Assheton Arms, in the conservation village of Downham, to enjoy a delicious meal such as one of our daily specials. Or if you plan ahead, you can request our signature fruit de mer (with 48 hours’ notice). On your second day with us, we suggest a trip to Preston for a mix of sightseeing and food exploration. Start with the Ribble Steam Railway, which is hidden away in the heart of Preston’s old industrial docklands and offers a memorable look into Lancashire’s world famous industrial heritage. The three-mile return trip takes you along the River Ribble to view unique views of Preston.